Also known as a forehead lift, a brow lift will reduce the signs of aging around the bridge of the nose and between the eyes. 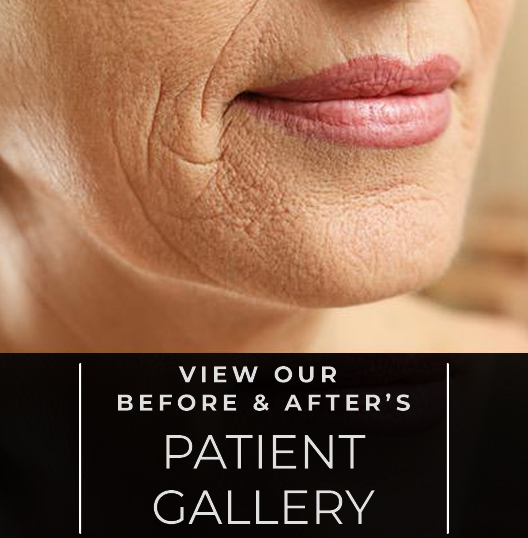 It also focuses on the horizontal wrinkle lines that run across the forehead. A brow lift can also raise sagging brows that tend to hover above your eyelids and improves frown lines – those wrinkles that show between the brows. Give you more youthful-looking, vibrant skin. Reduce the tell-tale signs of aging from your forehead, eyes, and other areas. Give you new-found confidence and improved self-esteem. Brow lifts are usually performed under a general anesthetic. San Francisco surgeon Dr. Aycock will make an incision just above the hairline, through which excess fat, skin, and muscle are removed. Dr. Aycock then closes the incision with sutures. A brow lift may be performed alone or along with other procedures such as a facelift or eyelid lift. At the time of surgery, your forehead may be taped and your face gently wrapped to help minimize swelling and bruising. You will be given proper instruction on how to care for the surgery site. Most patients are on their feet in a couple of days and back to work within two weeks. Strenuous exercise should be avoided for about a month, and sun exposure should be minimized.